Caroline Ladzinski has never been a part of Student Government, and she hopes this will give her an edge as she runs for SG vice president. Ladzinski is a junior in the School of Public Affairs who has held seven internships over the course of her three years at AU. She currently sits on the e-board of Alpha Chi Omega and considers herself a passionate crafter. Ladzinski said she wants to bring fresh ideas to SG and make it more inclusive since joining SG after freshman year can be difficult. She is running on a ticket with presidential candidate Alex Hoffman. 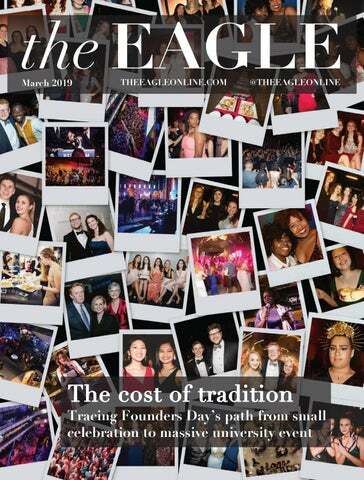 If elected vice president, Ladzinski plans to radically change Founder’s Day ticketing. She wants to change ticketing to a lottery system where people can get tickets for their friends.